First of all, congratulations! 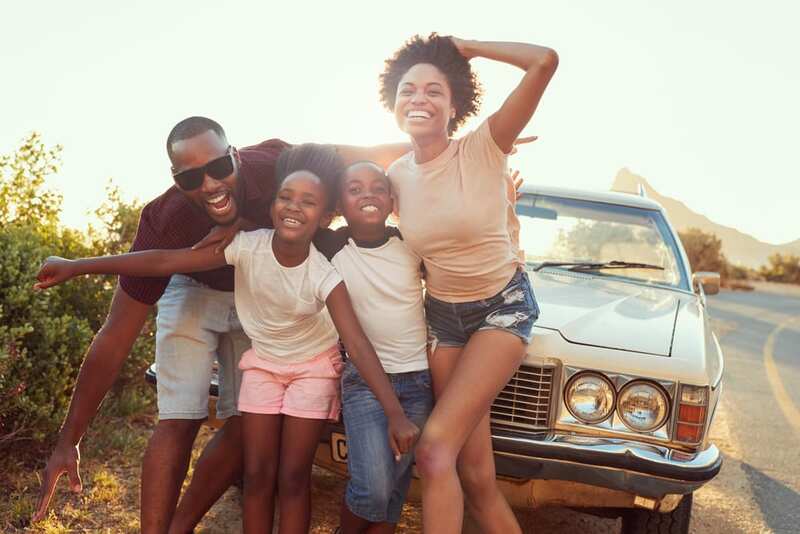 Not only are you going on a road trip, but you’re being smart and making a road trip car checklist, upping the safety of everyone on the road. While we’ve already covered what should be on your checklist for a long trip car inspection, we wanted to give you the “essentials” version of a solid road trip car checklist. That way, the next time you ask yourself, “Is my car ready for a road trip?” you’ll know that the answer is: Yes. What should I do to my car before a road trip? At the top of our road trip car checklist is your tires. You’re not going to get anywhere far without all four of your tires in good working condition. Check the tread, pressure, and overall condition of your tires before you set out on your next venture. If you have them, make sure the spare tire and all your other tire-changing supplies are where they belong and that they’re in good working condition. If you do not own these items, consider investing in them. Flash floods and heavy thunderstorms are common in Texas. And anyone who has lived here long enough knows that our weather turns on a dime. Make sure your wipers work properly and, while you’re at it, it’s always wise to top up your windshield wiper fluid. Since you’re already out of the car, make a quick circle around your vehicle to check your lights, including your brights. You may need a friend to pump the brakes to see if the brake light is working. Speaking of brakes… you may not be getting anywhere far without healthy tires. But on the flip side, if your brakes do need some work, you may not be stopping as soon as you’d like to. If you know how, check to see if your brake pads and your rotors are functioning properly. If you don’t know how to do this, then have them checked out by a professional before you (literally) run into problems on the road. The air filter typically gets short shifted during home maintenance checks, and that’s unfortunate. Your air filter catches a lot of gunk that can hinder your engine’s performance, meaning it could be what’s causing you to accelerate slower than what you’re used to. Regularly replacing your air filter can wind up saving you a lot of time and money in the long run. Any essential road trip car checklist would be useless without this last reminder. Before a road trip, make sure to check the oil level of your car. Having low oil in your car can cause a host of problems, including overheating. If you know how, it’s also wise to check the other fluids in your car (coolant level, brake fluid, etc. ), but if you only have time for one, oil should be at the top of your list. Don’t have time to make a road trip car checklist? We’ve got you covered. While this road trip car checklist covered the basics, it is far from comprehensive. If you don’t have the time or the inclination to run down a road trip car checklist yourself, don’t skip it (especially if you’re considering going on a road trip in a high-mileage car). Instead, bring your vehicle to Colony One Auto Center for a pre-trip car inspection. The experienced mechanics at Colony One will check everything on this list and more, giving you peace of mind as you set out on your next journey. Ready to hit the road (safely)? Call us at 281-980-4440 or request service online today.